If the past two years have taught me anything, it’s how important the School Resource Officer is. For many years, the SRO position has often been looked at with scorn by other cops as someplace you stick incompetent cops or officers who are close to the end of their careers. Unfortunately, many tactical groups, training companies, police commanders, and equipment companies have also overlooked the importance of the SRO in responding to emergencies, particularly active shooters. 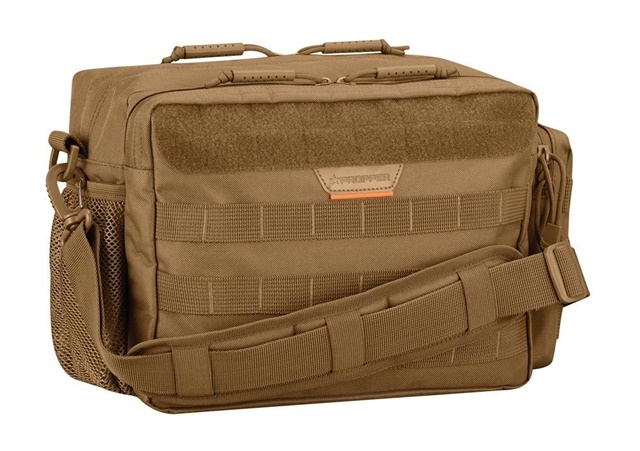 As a firearms instructor, CQB instructor, and School Resource Officer, I also know how important the right equipment is, and I have found the perfect bailout/active shooter response bag from Propper. It doesn’t matter if you cover several schools, a large multi-building campus, or a single building containing both elementary and high school grades, you need to have several items with you and you have to go in a hurry. The argument is going to be that an officer should take the time to put on his body armor (beyond what he is wearing under his uniform) and grab his long gun, but that’s highly impractical. If I hear shots fired at the far end of the school, I’m going to grab my bailout bag and go. I also may not be close to my safe to grab the long gun. My job is to simply attack the attackers and kill them or at least pin them down until other officers can flank the position. Speed is critical. Tourniquets, Israeli bandages, and first aid kit should speak for themselves. Flashlights have a way of not working when you need them most, and you’re not going to have time to change batteries on your handheld or weapon mounted lights. You need a fresh light. Extra ammunition is essential. Propper makes great MOLLE compatible magazine pouches which can be easily attached to the bailout bag. Flashbangs and smoke grenades can be used not only to mask your movements and distract the shooter(s) but also to mask the movements of students who are trying to get out of harm’s way. Most schools have a master key but a school district doesn’t always have a master key or key fob for each building in the district. Having spare master keys and key fobs in your kit will be one less thing to think about when you have to grab and go. A school radio can be used to communicate with faculty and administration, if necessary. Door stops can be used to keep some doors closed after you have cleared the room but can also be used to prop doors for the reinforcements we pray are on their way. Glass breakers can be used to gain access to rooms to engage a shooter, render aid, or assist students escaping the shooter. A grease pencil can be used to draw an arrow or shortcode to point the second responders your way. Flex cuffs or some other disposable restraint are helpful to secure shooters because not every situation is perpetrated by a lone gunman. Navigate Prepared is a wonderful app available for use that cannot only activate alarms but can also be used by teachers, administration and police to account for each and every student and begin the reunification with parents and guardians and can be loaded onto a disposable cell phone placed in the kit. 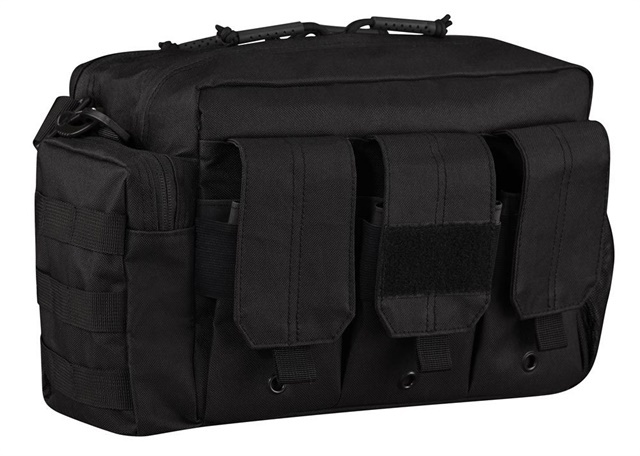 Propper has created a top quality bailout bag with room for whatever you deem essential, with the ability to adapt the bag to your individual needs. 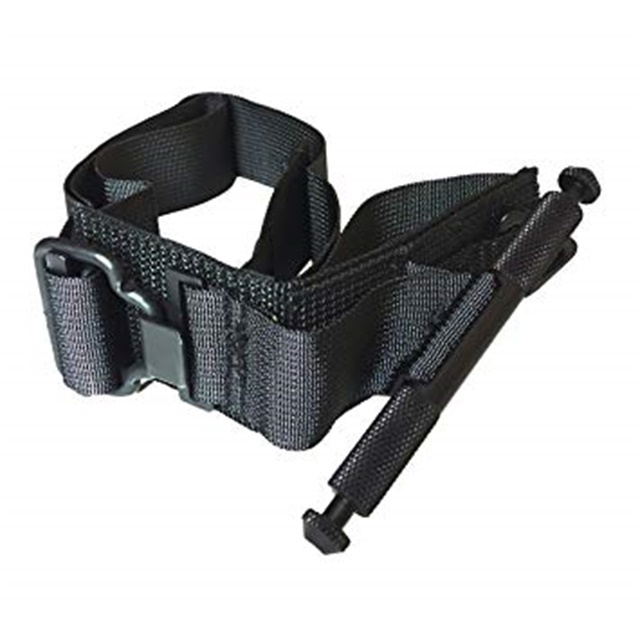 Three outer rifle mag pouches allow for the SRO to bring some extra firepower, and the MOLLE attachments on the other side provide space for handgun magazine pouches to be added along with tourniquets, flashlights, or Israeli bandages. 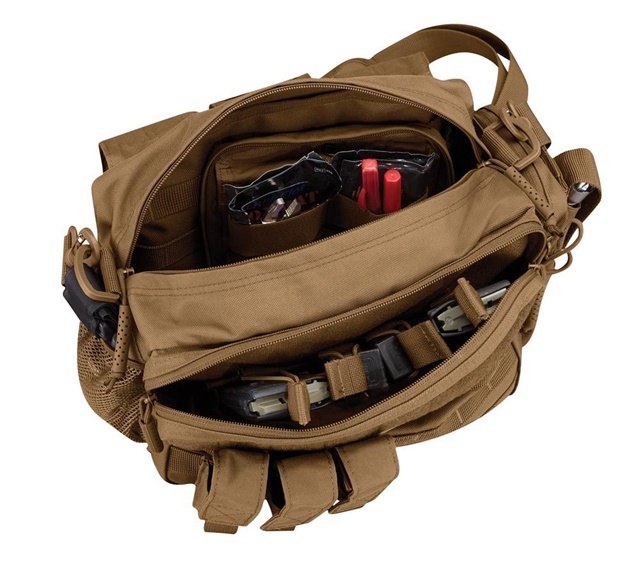 The interior of the bag also allows room for an individual first aid kit, laminated maps of the schools, keys or key fobs, glass breakers, school radio, smoke grenades, doorstops, restraints, grease pencil, flashbangs, and a cell phone with a school emergency app like Navigate Prepared. Law Enforcement Departments around the country need to reexamine who they have in the schools, how they are trained, and how they are equipped. 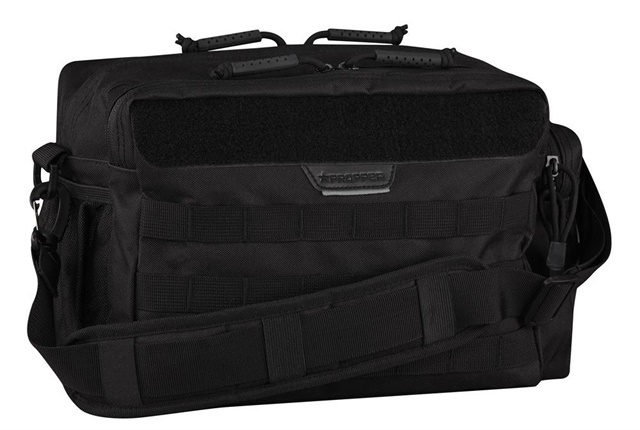 If you’re an SRO, grab a Propper bailout bag and fill it with the essentials to address a threat at your school and maybe even keep a second in your squad car. Your response is vital and the world is watching while our children depend on your response. Rich Portwood is a 14-year police veteran and police firearms instructor. He is an accomplished competitive shooter, appeared as a featured panelist on the TV show "Stop The Threat" for 8 seasons, and his articles have appeared in publications such as SWAT, Police Magazine, and The Gun News. Rich is also the Midwest Regional Director and Instructor for Khyber Interactive Associates. Want more information on Propper International? Sign up to receive additional information from Propper International.